The MADE by the Opera House exchange program is delighted to invite UNSW students to apply for an exciting scholarship, focused on architecture, engineering and design in the built environment. 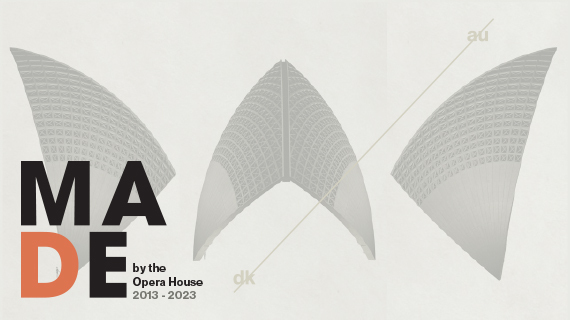 The Multidisciplinary Australian Danish Exchange, or MADE by the Opera House, celebrates the special connection between Australia and Denmark first forged by Jørn Utzon’s masterpiece. MADE by the Opera House is a collaboration between the Sydney Opera House and the Royal Danish Academy of Fine Arts, with generous support from Arup, Steensen Varming, NSW Architects Registration Board and three Danish foundations: The Bikuben Foundation, The Dreyer Foundation and The Obel Family Foundation. Each year until 2023, five Australian and five Danish students will each receive AU$6,000 to spend six weeks collaborating on a multidisciplinary project in Denmark and Australia respectively. We encourage your students to apply by Thursday 9 July 2015 to be part of the Australian cohort in January-February 2016. The five successful students will be invited to attend an official MADE by the Opera House event, together with the existing MADE student alumni, on 21 August 2015. This exchange extends the cross-disciplinary collaboration that gave birth to Australia’s most celebrated building into new generations, creating by our 50th Anniversary in 2023 a living legacy of 100 MADE alumni with a deeper understanding of international practice across disciplines and hemispheres. Please find all Application information and Key Dates here. For additional information please visit the MADE by the Opera House exchange website. UNSW’s Biggest International Morning Tea is ob Thursday! Come and enjoy delicious treats from around the world and a hot cup of tea or coffee to raise much needed funds for the NSW Cancer Council. Haven’t organized your summer internship yet? No need to panic. There’s still time to secure a placement with The Intern Group. Ever dreamed of traveling to another corner of the globe whilst polishing your professional profile? Well now is your chance. The Intern Group is an award-winning social enterprise that amplifies the Global Consciousness and Professional & Career Development of talented individuals worldwide through Global Internships within our international network of partnerships. We still have some spots available for our summer programs so apply today to get the summer placement you’ve always dreamed of. It’s not too late! Our programs heavily focus on professional development. We place interns in demanding roles at leading companies within the intern’s industry of choice. We aim to give budding professionals the opportunity to get real-world, international work experience, which is of growing importance in the increasingly globalized world. So why not travel to London, Hong Kong, Madrid, Colombia or Melbourne and enhance your CV at the same time? We have start dates in June, July and August and still have spaces left for many sectors in each of our destinations- see below for availability! Sign up today and secure your summer placement before it’s too late! **UNSW students starting programs with The Intern Group before the end of 2015 may qualify for a 7.5% discount off the published program prices. CRCC Asia is a provider as per the UNSW procurement selection process. 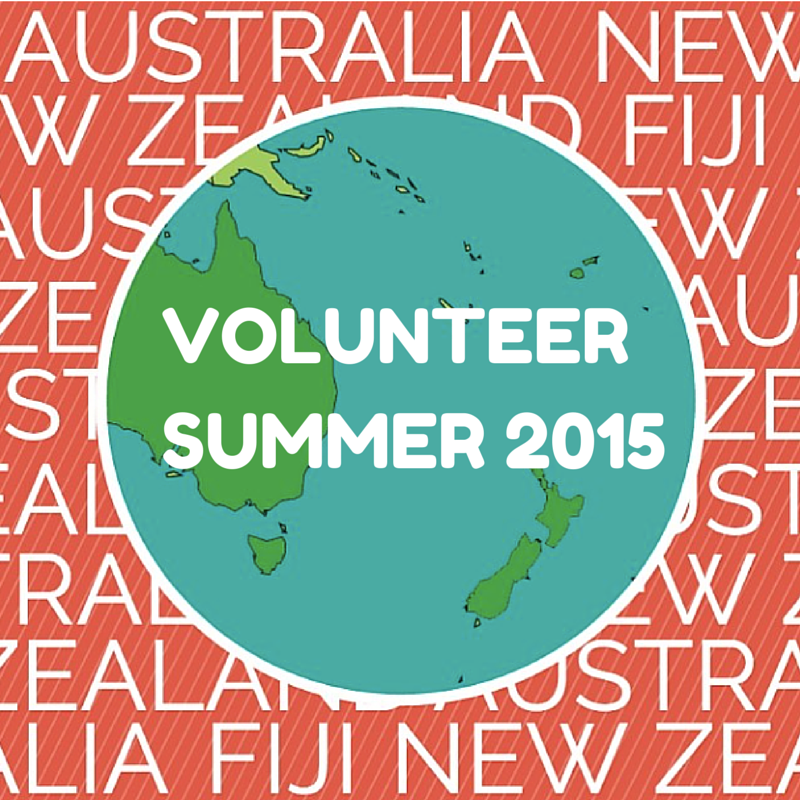 You still have time to register for an amazing volunteer project abroad this summer with International Volunteer HQ. International Volunteer HQ (IVHQ) offers programs in 30 different countries around the world, with a variety of projects for students to volunteer in, including Teaching, Childcare, Community Development, Medical, Construction and Renovation, Turtle Conservation and Wildlife Conservation. This summer break provides the perfect opportunity to explore the world, or a potential career path, experience a new culture, or add valuable work experience to your resume by volunteering abroad. IVHQ is renowned for providing the world’s leading range of affordable volunteer programs, and we pride ourselves on our superior safety, responsible volunteering, and support services we provide to our volunteers. How To Apply: Apply online now by visiting their website IVHQ. Fees: IVHQ has affordable volunteer program fees starting from US $180 a week, including accommodation. “UNSW does not presently endorse any specific third party programs. Students are therefore advised to undertake their own risk assessment before departure and any participation in these programs is at their own risk. Applications are opening next week for AIM Overseas’ January 2016 intensive short courses overseas. These are academic short courses taught during the summer holiday by some of the world’s leading universities. They are designed to count for credit and meet the requirements for the $6362 OS-HELP loan. These programs make the most of their location, frequently including lots of site visits and field trips to places that increase your learning, giving you an experience that simply could not be replicated in a classroom in Australia. Political Change in the Middle East : Can Turkey Play a Role? Places are limited so Register your interest now! How to apply: Please visit the AIM Overseas website for the online application details. UNSW students accepted into this program must also complete the UNSW GEP Registration Form and return to advisor4globaled@unsw.edu.au. 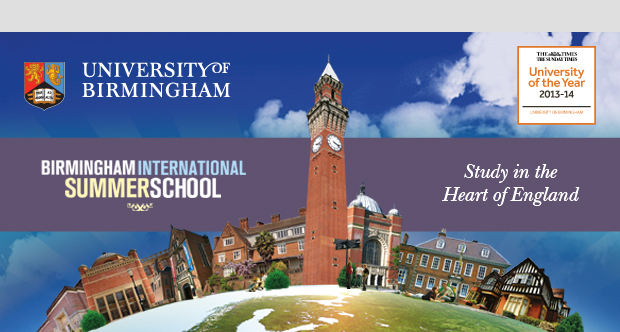 The University of Birmingham launched its Birmingham International Summer School ! (BISS) 2015 earlier this year. It will be an exciting and excellent opportunity for international students who wish to study at one of the most beautiful campuses in the UK and to experience British culture. There are two different programmes on offer in 2015, including British Cultural Heritage and Mathematical Finance and Financial Time Series. Students will have the opportunity to earn credits for their study in programmes that are formally assessed. To recognise the highly valued relationships between Birmingham and our international partners,The University of Birmingham will offer a £150 discount towards the programme fees for students who are eligible for the BISS. In addition, they are also offering a further £250 scholarship to students from Universitas 21 partners (UNSW). How to apply: Please visit the BISS Website for the online application details. UNSW students accepted into this program must also complete the UNSW GEP Registration Form and return to advisor4globaled@unsw.edu.au. The deadline to apply is Monday, May 25th at 9am. The 8th APRU Undergraduate Summer Program (USP) will be hosted by the University of Malaya’s International Student Centre in Kuala Lumpur, Malaysia from 2 to 10 August. Focusing on the different facets of leadership and various immersion activities, the 10-day program to will engage participants in dynamic group discussions and seminars. – Women and Leadership, among others. During the course of the program, students will also participate in a special leadership workshop and create a ‘leadership canvas’ as part of their personal development. Students will create and present project proposals and apply their key learning from the program. Download the latest preliminary program here. The multidisciplinary format the program encourages the participation and engagement of students from various disciplines. Students enrolled in an undergraduate program at an APRU member university are eligible to apply for the USP. Students should apply through the relevant department or office within their respective institution. Registration: Registration closes on May 15th. The registration form can be downloaded here. – Shared accommodation at University of Malaya’s International House and airport transfers on 2 and 12 August and (travel details must be indicated in the registration form). N.B. Participants arriving or leaving at a different time schedule are to arrange for their own transport. Information on location will be provided subsequently. Interested students should also contact advisor4globaled@unsw.edu.au to register their interest as they may be eligible to apply for a scholarship . What if you could study environmental sustainability at an international university renowned for its renewable energy and environmental practices? Now you can – with the AIM Overseas Innovations in Environmental Sustainability Program at the University of Minnesota. This 3 week program from 4th – 23rd July 2015 at the University of Minnesota offers an in-depth look at the historical, current and future contexts of environmental sustainability and the climate change solutions being implemented in Minnesota. The Innovations in Environmental Sustainability program will give you an international perspective on environmental issues. It will introduce you to the environmental sustainability and climate change solutions being implemented in Minnesota, and gives you the opportunity to learn about traditional sustainability practices from Native American Indians. To view the summer course syllabus prerequisites please click here. Fees: This is a fee paying summer course. The cost of the course is $5,890 USD. Program inclusions: tuition, accommodation, airport pick-up and drop off on official arrival/departure date, most meals, site visits, AIM Overseas pre-departure service and support. Fees do not include: airfares, travel insurance and personal expenses. To assist with traction within the Science students, AIM Overseas and the University of Minnesota is offering one $500 scholarship for a UNSW student who wishes to take part in this opportunity. Sun Yat-sen University in Guangzhou, China, is offering two tuition-waivered positions for UNSW studnets to attend their Summer Program (July 5-25). Additional positions are available for fee-paying students. Courses offered by the university include Chinese language, culture, business, and politics. Sun Yat-sen University is one of the leading comprehensive research universities in China located near Hong Kong and Macau and the summer program presents a great opportunity to experience Chinese culture while getting academic credit.